The history of Montana is visible not only in the landscape and geology our State, but in the abandoned buildings of old barns and homesteads. And while the wood and structure of these old buildings decay, the spirit of the desire to live off of the land and surrounded by large open spaces and big skies will never die in the hearts of those who see them. 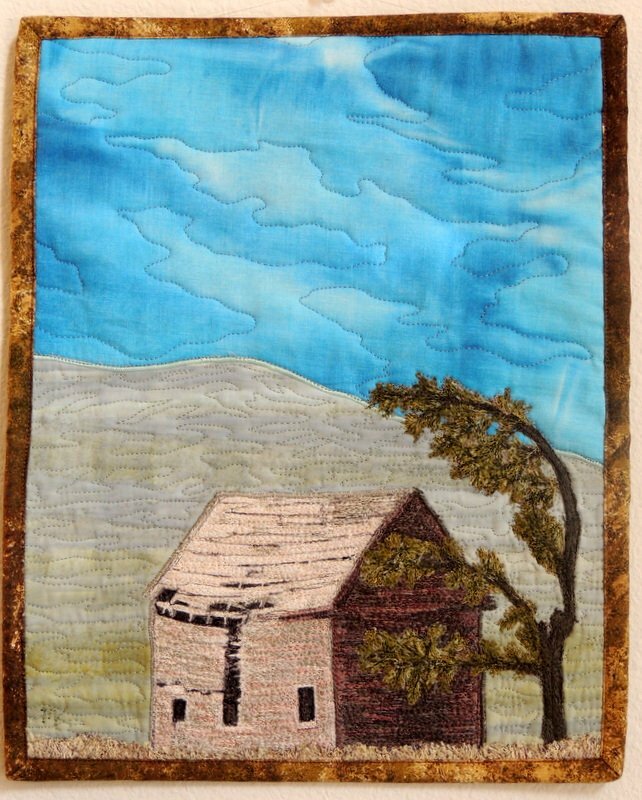 The building and three were both created and colored out of layers of thread using a technique called free-motion embroidery (or thread painting). They were then appliqued onto a hand painted and appliqued background before all layers were quilted together.